It can be challenging to control diabetes, especially when you experience vision loss. It takes time and effort, but there are many resources to help you manage diabetes and achieve independence. Discover more about being legally blind with diabetes and what you can do to help yourself. Four common causes of vision loss include age-related macular degeneration, cataracts, glaucoma and diabetic retinopathy. Low vision or legal blindness occurs when functional vision cannot be properly corrected with contact lenses, eyeglasses, eye drops, injections or surgery. People with diabetes are more likely to experience vision problems. Fortunately, there are specialized rehabilitation programs and many services that can help. Diabetes and the associated blood sugar fluctuations can affect your vision. 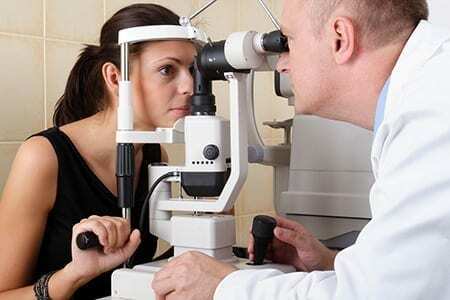 It is important to have regular eye examinations by an ophthalmologist or optometrist. Retinopathy, the leading cause of blindness in diabetes does not have symptoms. If you have changes in your vision, report them to the eye doctor immediately. If you have vision loss, get an eye exam from an ophthalmologist that specializes in low vision care. This type of exam focuses on the vision you have. Electrical or optical magnification devices might be prescribed to help you use your remaining vision. It takes practice to figure out how to use these devices. Once you learn, you can read nutritional labels, expiration dates on insulin and your blood glucose test strips. If you experience vision loss, there are ways to continue to manage diabetes-related tasks. Many blood glucose monitors have large displays with bold numbers so you can continue to test on your own. If you cannot rely on your vision, talking glucose meters have a voice that speaks aloud the information shown on the monitor display. Medicare and other insurance companies may reimburse patients for the cost of these meters with a detailed prescription and eye report from the doctor. Several insulin measurement devices are on the market to help patients with vision loss safely and accurately draw up insulin. A physician or vision rehabilitation professional can help you learn how to use these devices properly. If you take the same dose of insulin daily, you might be able to use a preset device. If the dose varies, some devices measure the insulin by counting the number or turns or counting and feeling clicks. Insulin pens are another alternative, especially since they stop dialing when they are empty. Specially designed magnifiers can be placed on the syringe barrel to help read dosages. Once again, proper instruction is required to correctly use all these devices. Eating a healthy diet is a key part of effective diabetes self-management. Work with a dietitian or diabetes educator if you have questions about your eating plan. Organize and identify the foods in your refrigerator and cupboard. Work with an educator to learn how to identify foods through touch, smell and taste, then develop a labeling system you can follow. Tools are available to help you determine the correct food portions including talking food scales, nested measuring cups and portion-controlled serving utensils. Keep a few simple tips in mind to help you manage diabetes with vision loss. Consider lighting, contrast, organization and how to control glare. For example, place supplies on a contrasting color surface when you are taking medication or drawing up insulin. Get a flexible-armed desk lamp for the area where you perform diabetes tasks to ensure you have enough lighting. Cover shiny surfaces when you are using diabetes supplies to minimize any distracting glare. Put your blood glucose records and other diabetes records in an easily accessible format such as on your computer in large print. You may even consider a service dog to help you with your vision loss for day to day activities. While it can feel overwhelming to manage diabetes with vision loss, you are not alone. Take advantage of medical professionals, products and services that can help you. By making educated decisions, you can enjoy greater independence and stay in charge of your diabetes – and your life!